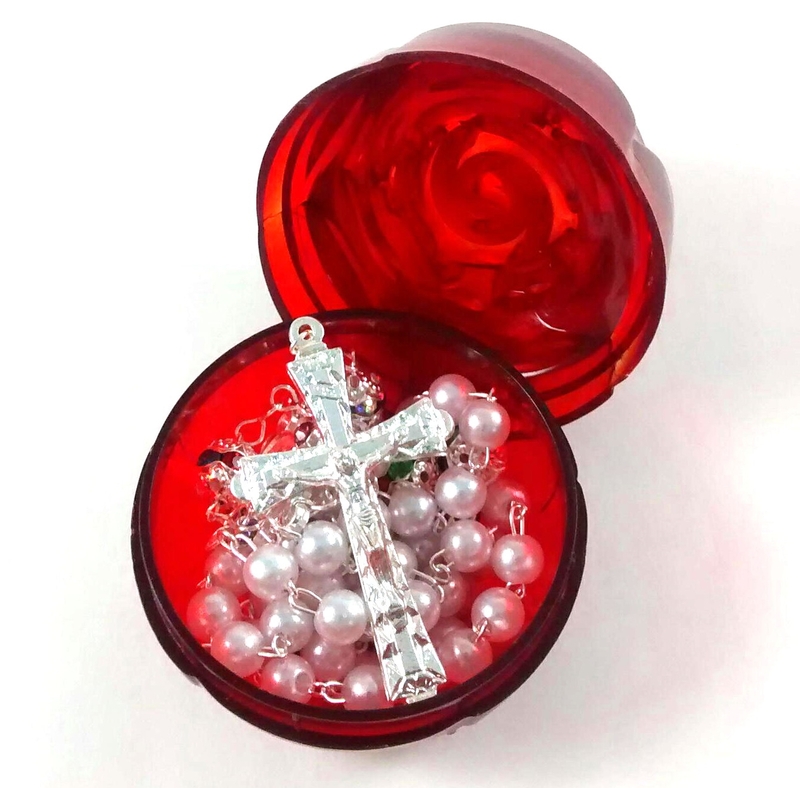 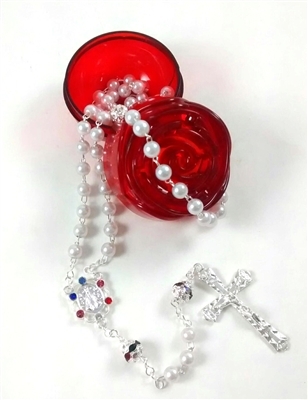 A beautifully designed imitation pearl bead rosary with stunning colorful rhinestones. 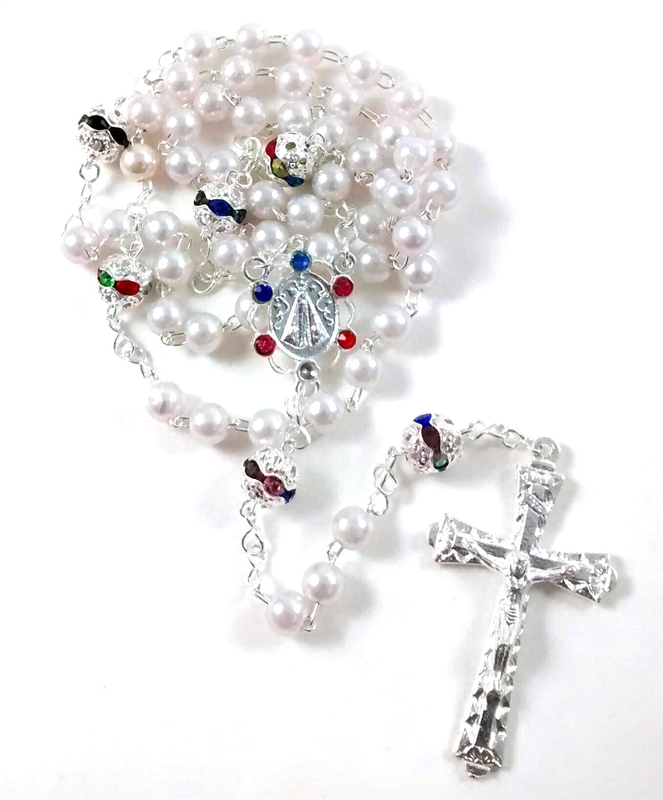 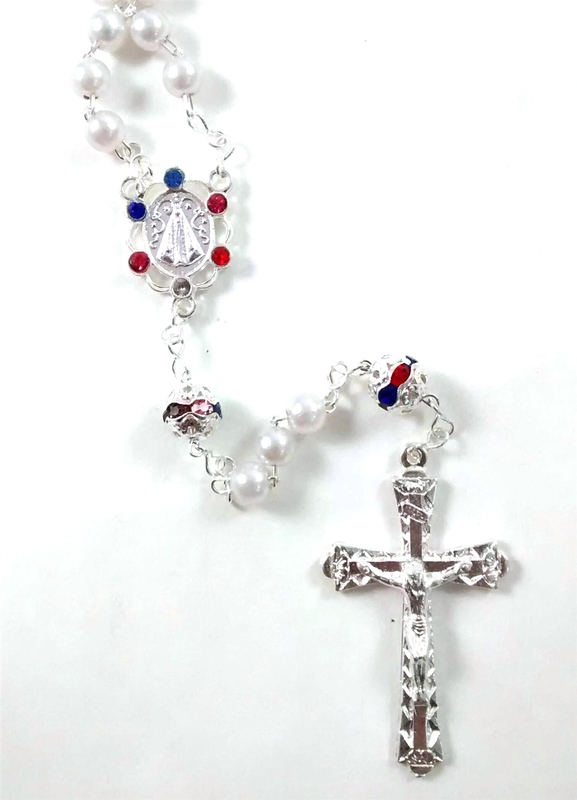 This rosary features a lovely silver crucifix and centerpiece. 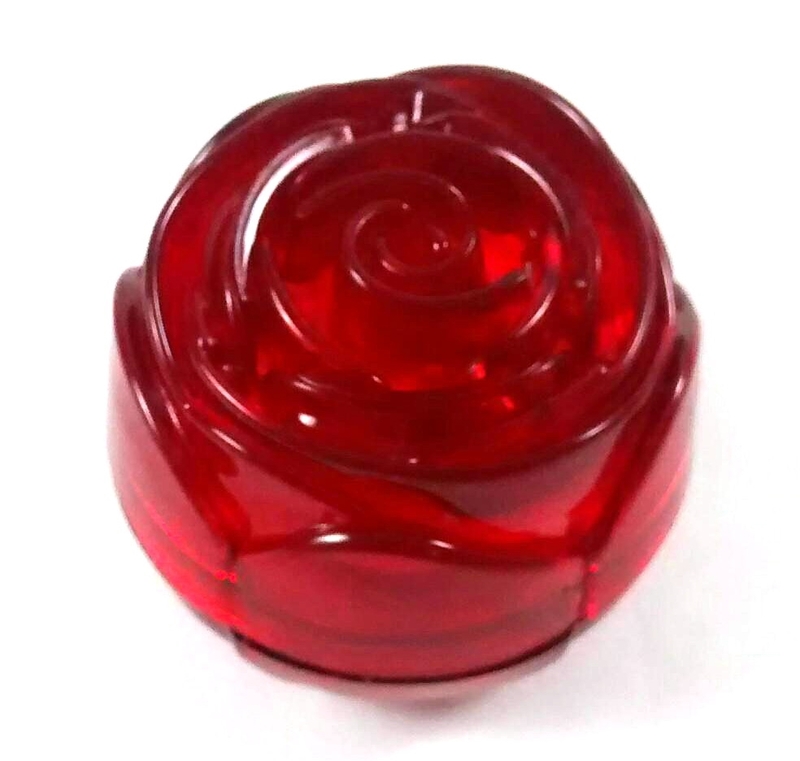 A beautiful red rosebud plastic twist case is also included.